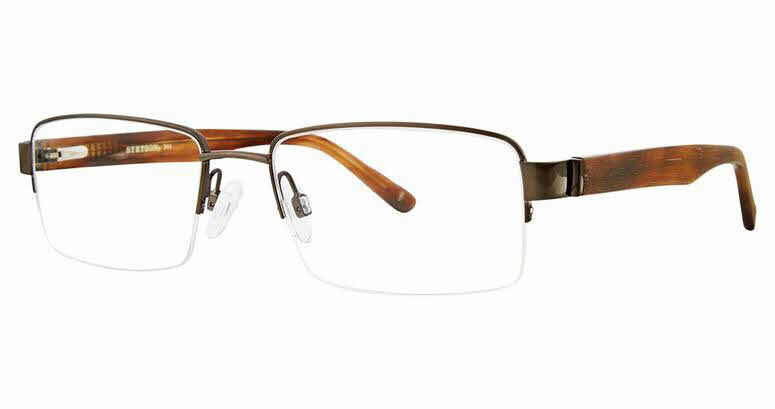 Stetson Stetson 344 is a Semi-Rimless frame for Men, which is made of Metal. Stetson Stetson 344 Eyeglasses come with a cleaning cloth and protective carrying case. The doctor's office didn't have the style of glasses that I wanted so I started looking online. I found exactly what I wanted at Frames Direct. It was really easy to pick the frames and enter my prescription online. They even called to confirm my order. I chose options like anti-glare and auto-tint that I've never had before. I'm very happy with my purchase. And they make working with your insurance company easy too. I would definitely do business with them again.